Realclimate has a new post, by Rasmus Benestad, that discusses predcitable and unpredictable behaviour. It focuses a little on Judith Curry’s recent report about climate models, that I discussed here. The Realclimate post is well worth reading, and I encourage you to do so, but there was one thing that I really liked and that I thought I would repeat here. What’s quite often been discussed/mentioned here is that if one argues for a significant natural contribution to our long-term warming, then that’s potentially arguing for a high climate sensitivity. Any internally-driven long-term warming will require some kind of feedback in order for it to be sustained. However, such a physical process should respond to both internally-driven and externally-driven perturbations. Therefore arguing for a significant natural contribution to our observed warming AND arguing for a low climate sensitivity is potentially paradoxical. I won’t say more and will simply repeat, below, the section from the Realclimate post, which explains it better than I can (credit: Realclimate/Rasmus Benestad). This entry was posted in Climate sensitivity, Judith Curry, Science and tagged Climate sensitivity, feedback response, Judith Curry, Rasmus Benestad, RealClimate. Bookmark the permalink. Climate change deniers assert that scientists are fraudulently hiding or diminishing the medieval warm period, even though the existence of a large or global medieval warm period would imply higher climate sensitivity. The tiny cooling from 2005 to 2013 sort of smells like high climate sensitivity; the warming from 2011 sort of smells like high climate sensitivity. ATTP: I believe that Benestad’s first name is Rasmus. Dagnabbit Willard, a 6% less corny globe is a serious prediction. Unless you are confident that the odds that land use is more than 1.9 W/m^2 is 50% or up, I would not bet on that coin toss if I were you, Cap’n. Knowing that the numbers are around 0.2 W/m^2 (eg Betts’) I’d ask you how much you can afford to lose. Since land-use is a surface albedo effect, I’m not sure we want a very big number, otherwise JimH’s modulz would become more relevant than lukewarmingly portrayed by Denizens. I’m sure BBD would approve of this comment. We estimate that black carbon, with a total climate forcing of +1.1 W m−2, is the second most important human emission in terms of its climate forcing in the present-day atmosphere; only carbon dioxide is estimated to have a greater forcing. Bond & al 2013 indirectly comes from Cap’n himself, so one can’t deny that ClimateBall has its virtues. Still, I’d rather keep within character and not use formal stuff. At least not explicitly. Damn Cap’n! I’ve always found that seeking attribution in the sense of causal attribution for these kinds of systems is torturing the concept to the point of inapplicability. These are coupled nonlinear systems, almost literally a set of coupled multivariate differential equations. In such a set of equations, for many of its states, how the solution evolves depends upon lots of things, not merely that Variable One was increased 30% relative to Variable Two. I understand that the public and courtrooms — and presumably Congress — likes simple cause-and-effect statements. That’s too bad, and trying to force the incompatible peg into the hole isn’t pretty and wastes a lot of time. Basic facts are that radiative forcing from CO2 gives you one delta in temperature and, then, entirely naturally, because atmosphere is warmer, it holds more water vapor, which provides the rest of the forcing. So, what’s the cause? CO2? Water? It doesn’t make sense. What does make sense is that we control the amount of CO2 being introduced, not the amount of water. What also makes sense in this system, is that if certain reservoirs of CO2, however natural, are breached due to warming, then getting the system back in control is harder, which means, more expensive, and getting back to a plateau of predictable behavior will take longer. I don’t propose to teach the public differential equations. But they should be able to understand simple energy balance models and realize that 5 W per square meter is going to change things. I’ve always found that seeking attribution in the sense of causal attribution for these kinds of systems is torturing the concept to the point of inapplicability. ● submarine and/or subglacial volcanoes! ● (global) urban heat islands! ● polar and glacial ice is increasing! ● no warming since 19xx or 20xx! ● the Medieval Warm Period! Just typing this list bores me now. I can’t imagine re-arguing them again for the nth time. Yeah, but those aren’t feedbacks or, quantitatively, they don’t rise to the effect of greenhouse gases. These are bright, shiny distractions, which are attractive to people who don’t want to change their lifestyles anyway. Willard… I looked at that thread. I miss GIRMA. He was easily the best stadium wave scientist of all. Thanks, and I umdetstand that extended argument. The problem is that it is rhetorically fragile. Moreover, in the attempt to distill all down tp a “sufficient statistic,” the public is deprived of the insight of how to think properly about a scatter of environmental situations and issues, most of which are ironically more complicated than climate disruption. The condensing versus not distinction is itself fragile for consider Mars where CO2 itself condenses. When ‘Natural Variation’ is invoked as a possible alternative, or significant component of observed warming It is not intended to reference a specific physical process with causal relationships. Or have any relevance to feedback processes. It is used as evidence(?) of stability. 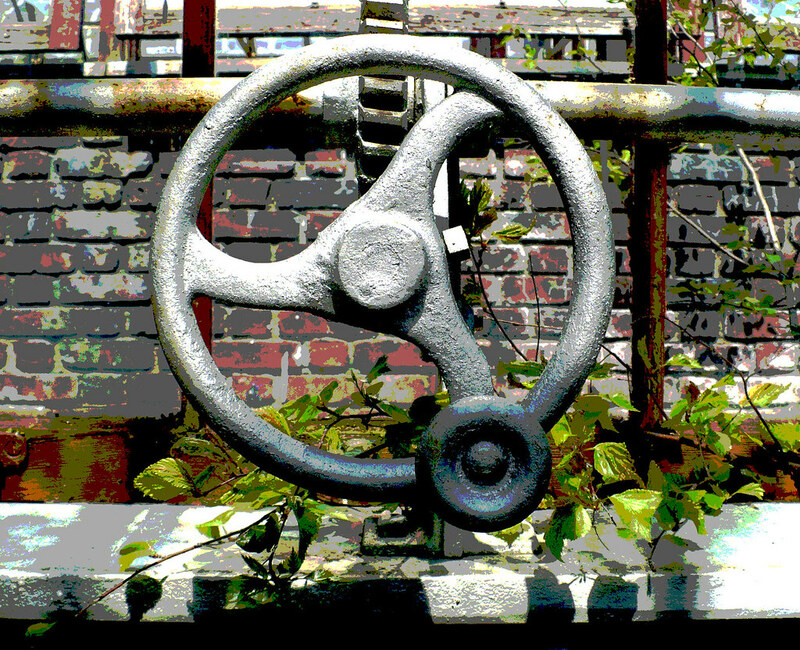 Natural variation is a key component of any Uniformist concept of the climate. It is the exception that proves the rule in the literal meaning of that saying. By describing any observed warming as ‘natural variation’ the clear implication is that it is just the proof of the underlying Uniformitarianism. Indeed I do. As you know, I have long peddled the notion that natural variability and sensitivity are inseparable. And I wish every ‘sceptic’ a happy hot MWP. Does a bit, doesn’t it. See also the MCA. “The climate is always changing”. Perhaps this is implying that the climate is always changing, like the waves on the oceans. But like the oceans it is as a rule flat, except for the waves. It does not form mountains, hills and valleys, it has a uniform surface which ‘Naturally’ inhibits large, rapid shifts and catastrophic change. A view of the climate as a ocean surface relegates the MWP to the status of a exceptionally large wave, its cause buried in the uncertainty and inherent unfathomable nature of the Napier-Stokes formula. Not an observation from which any meaningful insight into the effect the increasing CO2 levels may have. However the severe drought in the American SW and extreme storms/flooding on the Eastern seaboard revealed problems with this Natural (big wave) variation argument. To refute the claim these events were exceptional it was shown that historical records indicate similar events in the last few centuries. While geological evidence shows some regions have had far worse droughts and flooding as past natural variation. While this allowed present events to attributed to “The climate is always changing” past. It did reveal that even without any AGW, ‘Natural’ events have the potential to be an existential threat. Making the potential influence of AGW on the probability of such events less benign. Yes, the climate is always changing. And one of the factors which has caused it to change in the past has been changes in the level of GHGs in the atmosphere. The greenhouse effect is of course entirely “natural”. So the argument that the climate is actually doing what it has always done is correct, it is reacting to a change in radiative forcing, it just happens that the underlying cause is human activity. Skeptics really need to make up their mind whether the climate is behaving the way it has always done or whether it has for some odd reason magically stopped doing so. Just remind them that you cannot have a major, centuries-long warming event at a time of only minor forcing change unless sensitivity is fairly high. Then ask why so sure that there was a ‘hot MWP’? Perhaps – after all – the evidence pointing to a not-so-hot MCA is more convincing? Usually, they just go quiet and disappear at this point. I even recall one skeptical genius on a newspaper comment forum who clearly thought the *entire* Greenland Ice Sheet had formed after AD 1400. None of the other skeptics commenting remarked on this, because apparently that’s how skepticism rolls. Agricultural bad practice, overgrazing and deforestation versus plant’s enhanced growth potential and drought resistance via an increase in recycled CO2 for example. Pablo: Something for you to chew on…. Gadzooks! I think we’ve caught a live one! Your link only refers to plants grown in sealed greenhouses. In the open, free air carbon dioxide enhancement experiments show initial gains, (rice grows 20% taller, grains are 3% larger) but within a few years the advantage is lost as Nitrogen availability limits growth. While some plants may be able to increase their photosynthetic production with rising CO2, unless we also start adding as much NOHx to the atmosphere and soils as we are CO2, any plant ‘Greening’ will regress within a decade as soil Nitrogen is exhausted. See the benefits of a warming climate here. Ridley and Tol are cited, so it’s all good. Even gremlins can be luckwarmers. Take the greening stuff to Matt King Coal’s thread, please. The red box indicates why focusing on the lowest bound justified disingenuousness can buy is more than paradoxical. The feedback paradox is the gateway paradox meme to all the other paradoxical memes. A dilemma (Greek: δίλημμα “double proposition”) is a problem offering two possibilities, neither of which is unambiguously acceptable or preferable. One in this position has been traditionally described as “being on the horns of a dilemma”, neither horn being comfortable. This is sometimes more colorfully described as “Finding oneself impaled upon the horns of a dilemma”, referring to the sharp points of a bull’s horns, equally uncomfortable (and dangerous). My tweet was alluding to the fact that lukewarm gambits were false dilemmas. I’m not sure what kind of paradox the “but greening” is introducing. Is Pablo willing to argue that unless we warm more, we won’t green, but if we do warm more, we’ll green until we yellow? Now, that’d be a dilemma. @izen @pablo http://dx.doi.org/10.1002/fee.1445 To the degree warming increases droughts, it’s not good for plants. Silly people, 9 billion people needing food, fuel, and construction materials versus co2-enhanced plants… how cold it go wrong? Of course, dilemmas, false or otherwise, only exist according to those who suffer from logical consistency in sufficient quantities to produce cognitive dissonance. Where you can see a “but greening” squirrel and No True Dilemma, Pablo and Judy and Ridley and Tol can see counter-arguments that will save the world from alarmists. Consequently, trying to keep up with all those contrarian concerns and luckwarm gambits will sometimes involve petard hoisting. Anyway, at the very least, we can say this: my above comment uses double carriage-returns. It will be interesting to see if the sea ice extent recovers by 30 – 50% over the next several decades. It would be nice, but I’m not going to hold my breath. Since one of the observed feedbacks of increasing CO2 is a greening planet you could be forgiven for assuming that must mean that all those thriving plants must be adding lots of Oxygen to the atmosphere. But that’s not what’s happening. I have been following the scripps global oxygen trends http://scrippso2.ucsd.edu/ for a few years when I asked myself the simple question: If it takes 2 oxygen atoms + 1 carbon atom to create CO2 I wondered if that could be detected on a global scale? Turns out it can and when you look at a graph of declining oxygen levels it’s a reverse mirror image of the rise of CO2. Mmmm. That brings me to offering a second hypothesis. If the famous RSS/UAH satellite temperature series is based on the reflective properties of oxygen to derive a modeled temperature estimate do the scientist doing this research factor in the fact that the thing they are measuring is actually steadily decreasing in the atmosphere. If this is true does it not follow that in fact the entire satellite record might actually be biased cool? Of course this is such basic stuff they may have factored this calculation in long ago but when I put the question to Dr. Spencer (when he released the V6 UAH documentation last week) I didn’t get a reply. Your comment motivated me to make some rough estimates under the assumption that the satellite signal is directly proportional to oxygen content and temperature which may not be the case. Per the Scripps data at your link oxygen is dropping 19 molecules per 1000000 oxygen molecules per year. That is a roughly 1 in 50,000 drop in oxygen content. Temperature as measured by UAH6 is increasing by 0.012 C per year. Assuming the average temperature in the portion of the atmosphere covered by UAH6 is 260C. That works out to roughly 1 in 20,000. So yes the drop in atmospheric oxygen could have a noticeable effect on UAH6. However since the oxygen data is available it would also be easy to correct. There is research reported in Science and I believe Nature Climate Change which examines variations in the peak profile of the Keeling Curve as a constraint on biological primary priduction in northern forests. (Don’t have time or access right now to find.) If change in troughs does not match, this implies a change in production. “There are also feedbacks relevant to forced variation as well as internal variability which don’t always mean that higher amplitude natural variability necessarily indicates greater climate sensitivity. (Bjerkenes feedbacks) resonating with wave propagation timescales. Also oceanic Rossby wave propagation and gyre spinup processes, or timescales associated with the AMOC. Not sure on this. I would think that feedbacks in natural variations are also climate sensitivity feedbacks. Does the paradox only arise because we assign such a high value to positive feedbacks? In a water world Climate Sensitivity to CO2 might be quite variable under current conditions but still drop rapidly with increasing temperature giving more clouds giving more rapid negative feedback. Probably trying too hard to have my cake and eat it too. In a water world Climate Sensitivity to CO2 might be quite variable under current conditions but still drop rapidly with increasing temperature giving more clouds giving more rapid negative feedback. Probably trying too hard to have my cake and eat it too. Maybe too simplistic. WV feedback is not limited to cloud formation. Increased WV raises the altitude of effective emission, creating a strong positive feedback. I would think that feedbacks in natural variations are also climate sensitivity feedbacks. This is essentially the point. It is paradoxical to argue for high sensitivity to internally-driven warming AND low senstivity to externally-driven warming, because the feedbacks are probably the same. If they amplify internally-driven warming, they should also amplify externally-driven warming (and vice versa). ATTP: Correct me if I am wrong, but i believe that Climate Sensitivity is merely an index created by modelers to compare the reuslts of climate model runs. As such, “climate sensitivity” is not a feedback per se. Indeed, climate sensitivity (ECS and TCR, at least) are formally model metrics that can be used to compare models and also to infer how sensitive our climate is. The magnitude of climate sensitivity does, however, depend on the feedbacks. Climate sensitivity, itself, is not a feedback. By the way, I just discovered the pertinent section of Ray Pierrehumbert’s Principles of Planetary Climate discussing climate sensitivity is available online. See section 3.4.2. As such, “climate sensitivity” is not a feedback per se. Sensitivity is determined by the net of feedbacks. Climate systems where feedbacks net positive are sensitive to changes in radiative forcing. Climate systems where feedbacks net neutral or negative are insensitive to changes in radiative forcing. hypergeometric: I am quite aware of what “climate sensitivity” is and how it is computed. My primary beef with the term is the use of the adjective “climate”. The index is actually measuring the sensitivity of the Earth’s troposphere to forcings and feedbacks and not of the Earth’s total “Climate System.” Unfortunately climate scientists use the term “climate” to mean changes in the the Earth’s troposphere (or atmosphere) over an extended period of time and as an adjective to label a system that includes more components than just the atmosphere. The dual meaning of the word “climate” in the scientific literature makes it more difficult to communicate the science in my opinion. Not only are the two positions incompatible, but neither are alone sufficient to buttress the lukewarm gambit. This may explain why we see them in alternation, either by one commentator or many. ClimateBall is a tag team sport. I don’t even know what you’re suggesting. No, or the various Cenozoic hyperthermals (PETM, ETM-2, MECO) could not have happened. Valid point, more so if one contends the CO2 went up first, though one would then have to explain why it did. On the other hand if the higher temperatures were due to conditions not available today, such as higher volcanic activity and internal forcing from the earth my comment might hold.The CS process estimate today is based primarily on solar forcing and then CO2 increase reaction. Back then it may have been temp first and CO2 in response, as long as input was active for ages the damped response might not be able to kick in. There’s no such thing as Ze question, Doc. But suppose we discover factor F. What would prevent you from asking the same question all over again? No matter how many times we spin on this ClimateBall fixed point, the lukewarm dillemma won’t get solved. Because, logic and how natural laws work. The space of our ignorance is the final frontier. I was quoting AT. Hence the “>” in front. Like in emails. I use the Markdown format to distinguish from other blockquotes. It is possible* that none of those hyperthermals happened. Because, grasping at counterfactual straw men is the luckwarmer way. To boldly go where no Mann has gone before. For completeness to the readership can you please provide a clear description with references to the “paradox” you mean. There are several candidates, some potential paradoxes (faint young Sun), some not really paradoxes. I wouldn’t hold back. ATTP’s readership is sophisticated. Here’s my take. Variability and sensitivity are connected. One goes up, the other can’t go low. But it’s not a pure matter of logic. We could imagine forces that only were active during special times, say a medieval Ragnarok where all the Norse gods danced around their final volcano. It’s just that we usually think that our universe is less capricious. What comes around goes around. Any time, any place, forever. So the lukewarm paradox is this: arguing that sensitivity is low implies natural variability is also low. How can it be argued at the same time that variability is underestimated without acknowledging this logical relationship? Answer – by keeping both lines of argument in separate threads, and by letting different folks make these two kinds of ClimateBall strokes. I could go dig out Professer errormeritus’s quote on it, but it would be a waste of time. Some day look at the Smith et al referenced in that article… now looking like a pretty good decadal forecast. So, perhaps I’m dense. I’ve asked whether I am or not before. But, from a maths perspective, where am I supposed to put the internal variability effect? Is it a noise term added to the right-hand-side of equation (3.15) from Pierrehumbert (cited above)? Is it buried within the albedo effect, or the partial of outgoing longwave with respect to temperature? Is it a derivative term at all, perhaps instead being some appreciable noise constant added to the integral of temperature over a limited support? Is it the wiggles in Benestad’s (2016) supplementary figure S11 from GISTEMP? though one would then have to explain why it did. No, it’s irrelevant to the topic under discussion. .The CS process estimate today is based primarily on solar forcing and then CO2 increase reaction. Back then it may have been temp first and CO2 in response, as long as input was active for ages the damped response might not be able to kick in. Can we just stick to palaeoclimate as she is understood, please? Instead of the desperate gyrations of unicorns with tummy-ache? Some reading that might help: Hansen et al. (2013). remove some of them from the larger Natural Variability uncertainty range. Your two examples show why there may not be a paradox to Willard. The atmospheric changes with 2 different GHG both increasing but only one with pure absorptive/ radiative properties, the other, H2O, being unique in that it causes increasing reflectivity with increasing concentration [decreased albedo] means that it is not a simple case of gas absorption emission physics with positive feedbacks but a complex reducing external input as internal energy retention goes up. It is this dynamic that enables one to propose two Climate sensitivities. One with high variability at a low CO2 level and one with reducing/reduced CS when CO2 levels double. The insistence that the CS plus positive feedback stays relatively the same at all CO2 levels is not held by most scientists ie people here have argued for some variability of CS with different conditions as a reason for it being hard to pin down, but most assume it must be relatively the same at different levels of increasing CO2. Take away this assumption and the paradox disappears. Thanks for the link to your site, looks interesting. BBD – Hanson only seems to consider the elevated CO2 ceiling, not the decrease in incoming solar this implied. I wasn’t trying to be dismissive of climate sensitivity, but I do think that ECS and TCR are, formally, model metrics. They do, of course, relate to something real (how sensitive is our climate to radiative perturbations) but I think it’s useful understanding this distinction. For example, the equilibrium sensitivity from an energy balance models is not totally equivalent to the ECS from a climate model (which is why it is often referred to as effective climate sensitivity). > It is this dynamic that enables one to propose two Climate sensitivities. One with high variability at a low CO2 level and one with reducing/reduced CS when CO2 levels double. You’d need something like a thermostatic cycle. Even then the paradox remains, Doc. Only the dilemma would be gone. Solved by the magick of watery explanations. We can expect that the demand for Gaia hypotheses will lukewarmingly increase. If we “really don’t knowuch about them,” surely we have empirical records of them else we wouldn’t know they were there. Given that, isn’t it possible to model them as colored, perhaps even ARIMA noise processes wirh temporal correlations? And if we did, isn’t then agreement betwen observatioms and GCM outputs much more consistent, given the broader envelope of variability by ARIMA around moving baseline? …. Okay, but albedo perturbations, too, right? And these have only partial coupling to temperature, whether in oceans or on land. When we discuss GCMs, it’s vitally important that we keep in mind that they can only simulate the Earth’s climate system, they cannot replicate it. And you haven’t read Hansen et al. (2013) properly either. Ask yourself a simple question: if cloud negative feedback increases at higher temperatures, then how do you get hyperthermal events? They should be physically impossible, but clearly, they are not. This is pretty much conclusive evidence that what you suggest is incorrect. .” BBD – Hanson only seems to consider the elevated CO2 ceiling, not the decrease in incoming solar this implied. And you haven’t read Hansen et al. (2013) properly either. Ask yourself a simple question: if cloud negative feedback increases at higher temperatures, then how do you get hyperthermal events?”. By any one of a number of events, including CO2 rise, that lead to a large rise in temperature.As Lucia reminded me negative feedbacks do not normally reverse greater than the initial response. A problem for anyone wanting to use CO2 increase as the primary driver of temperature increase paleolithically is that something had to occur to drive the massive output of CO2 in the first place, Anything great enough to do that obviously had the power to heat up the atmosphere that much anyway. “During the PETM, temperatures rose between five and seven degrees Celsius in approximately 10,000 years — “a geological instant,” Clyde calls it. This rise in temperature coincided exactly with a massive global change in mammals, as land bridges opened up connecting the continents”. 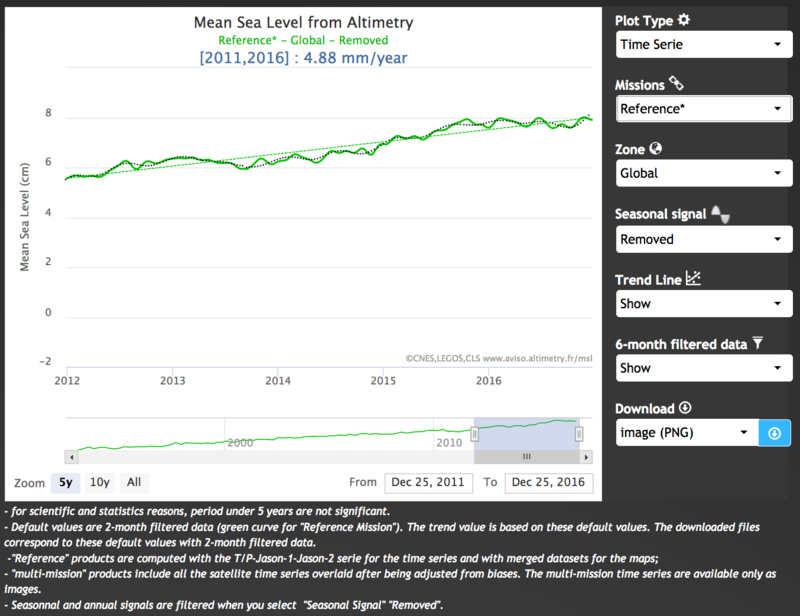 The moment one sees land bridges [sea level fall] opening up with massive temperature rise [sea level rise] one knows something is “wrong” with theory somewhere. Is Global Warming a Giant Natural Fluctuation? “The key, second part of my study uses data from the year 1500 to estimate the probability that this temperature change is due to natural causes. Since I am interested in rare, extreme fluctuations, a direct estimate would require far more pre-industrial measurements than are currently available. Statisticians regularly deal with this type of problem, usually solving it by applying the bell curve. Using this analysis shows that the chance of the fluctuation being natural would be in the range of one-in-100-thousand to one-in-10-million. Yet, climate fluctuations are much more extreme than those allowed by the bell curve. This is where my specialty – nonlinear geophysics – comes in. Nonlinear geophysics confirms that the extremes should be far stronger than the usual “bell curve” allows. Indeed, I showed that giant, century-long fluctuations are more than 100-times more likely than the bell curve would predict. Yet, at one in a thousand, their probability is still small enough to confidently reject them. “While the scientific community has increasingly implicated human actions — especially greenhouse gas emissions — for the industrial epoch warming, the skeptics have continued to denigrate the numerical models (GCMs) and complain that the data is biased. A typical skeptic explanation adorns a “Friends of Science” billboard: “The sun is the main driver of climate change. Not you. Not CO2.” thus exhorting us to believe that global warming is simply a (solar-induced) giant natural fluctuation (GNF). Our analysis shows that the variability of Keenan’s model over periods of centuries is so strong that even mild extrapolations imply that the earth would go in and out of an ice age roughly every 1,000 instead of 100,000 years. 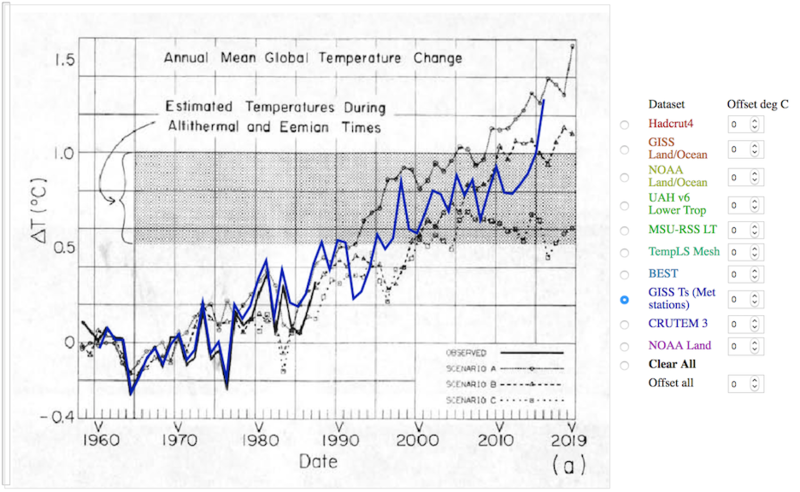 What’s more, while the typical global-scale, preindustrial century to century temperature change is about 0.20 degrees Celsius, in Keenan’s model it is three to five times larger (depending on which variant of the model is considered). Anything great enough to do that obviously had the power to heat up the atmosphere that much anyway. Huh? What are you implying? Where did your final quote come from? > What are you implying? Paleotological evidence contradicts low sensitivity. When lowballing sensitivity isn’t possible, go high on variability. So Doc goes for Anything But CO2 could have done it. Which is a truism. As simple as ABC. It just so happens our best explanation is that in this time of ours, CO2 did it. I’m glad Doc finally accepts that lowballing sensitivity may stretch the limits of justified disingenuousness. Or does he? Tune in for our next ClimateBall episode! My first quote was from first entry “New understanding to past global warming events: Hyperthermal events may be triggered by warming” April 2, 2012 University of New Hampshire. One rapid event which Hansen, et al (2013) cited was the encounter by the Asian landmark of the tectonic express train which was the Indian plate, one which holds the record for tectonic transport. Hansen, et al (2013) assign to the volcanic activity associated with subduction at its margins a pulse of C12-rich CO2. Yeah, assuredly. But, moreso, if there was a Mysterious Natural Source, like, wouldn’t the deployed field of instruments notice it? I mean, if there is a Mysterious Natural Source, apart from Sum, it is very unlikely to be something which has a spatially uniform energy density. We know it is not the Sun because we measure the Sun. Accordingly, where is the anisotropy? Frankly, I think the science deniers writing budgets for climate work know all this, too, because of the surgical precision they are trying to shut down instruments, such as those on the NASA DSCOVR which image whole planet backscatter. That act alone suggests to me (a) they know exactly that they are wrong, and (b) the kinds of “blinding” it takes to make a startlingly clear anthropogenic connection go away should/when/if nonlinear climate events start happening for which the public demands an explanation and a solution. Implying anything great enough to do that obviously had the power to heat up the atmosphere that much anyway. e.g. There are a number of theories on why the PETM occurred and so rapidly. The hardest part is to explain how so much extra CO2 got into the air so quickly. One thing is certain, there were no humans around to initiate the rise. Whichever way one wants to look at it an initiating event of great power had to have happened, Vulcanism or meteor strike are the two most likely methods. To release that much CO2 so quickly the force involved would cause a large input of energy at the same time. The CO2 GHG effect would certainly explain the slow decay in temperatures afterwards. I thought we already had a startlingly clear anthropogenic connection without the non linear climate events. It is sort of sad that we do not have tables of Milankovitch effect for the earth saying e.g. that the earth warmed up 0.01 C from 1000 to 2000 ad and will do the same in the next millennium. Nor do we have tables for the actual solar insolation and its variations for the last 300 and projections for the next 100 years. Well we do, but no-one agrees or uses them, say 0.03C cooling in the next 30 years. We do have orbital variations but Galileo chucked them out, still we can predict the spin, gravity, inclination and orbital variations. The problem is the tides, currents, air movement, water movement in air and land [one of the biggest], volcanoes, albedo and ice and clouds. No mystery involved, just a lack of understanding of the complex interplay.Like the one off giant waves a combination of warming or cooling in a lot at once can give a temerature change far bigger than what we normally calculate for. A real problem if we have been in a dip and GHG effect resumes, or it shows a low sensitivity with high variation if there has been no dip. By any one of a number of events, including CO2 rise, that lead to a large rise in temperature. Any number of events. Such as? As Lucia reminded me negative feedbacks do not normally reverse greater than the initial response. A problem for anyone wanting to use CO2 increase as the primary driver of temperature increase paleolithically is that something had to occur to drive the massive output of CO2 in the first place, Anything great enough to do that obviously had the power to heat up the atmosphere that much anyway. What ‘anything’ are we talking about, angech? Volcanism doesn’t heat up the atmosphere directly. GHGs, on the other hand, *do* cause global warming, and volcanism releases GHGs, sometimes in vast quantities for thousands of years at a time. This would cause warming (GHE) sufficient to destabilise marine clathrates and trigger a secondary, massive release of carbon into the atmosphere. The work confirms that the PETM was not a unique event – the result, perhaps, of a meteorite strike – but a natural part of the Earth’s carbon cycle. While scientists still don’t fully understand the causes of these hyperthermal events, “they seem to be triggered by warming,” Clyde says. It’s possible, he says, that less dramatic warming events destabilized these large amounts of carbon, releasing them into the atmosphere where they, in turn, warmed the Earth even more. Well, there was no cryosphere to speak of in the late Palaeocene and Eocene, so no ice melt to leverage SLR. So it would be down to plate tectonics vs ocean thermal expansion. Looks like tectonics won. @angech, from March 19, 2017 at 12:11 pm, and the quote you quoted, I disagree with “There is no indication that such a burst of volcanic activity has occurred at any point in Earth’s history,” per D, E, Ogden, D. H. Sleep, “Explosive eruption of coal and basalt and the end-Permian mass extinction,” PNAS, 3 January 2012, 109(1), 59–62, where it is estimated there were three events which emitted a trillion tonnes of Carbon, apiece, and lofted the resulting CO2 to stratospheric heights. In order to achieve that height, physically, these must have been emitted rapidly. In particular, they estimate a single vent would emit at 100 tonnes Carbon per second, and would be expended in 14 days. Assuming vents erupted in series, to achieve 1500 gigatonnes of Carbon would take under 500 years. The height of emissions from these columns contributed, of course, to the severity of the Permian extinction and invoked the same mechanism why CO2 emissions at stratospheric altitude from jet aircraft are worse than sea level emissions. And I’m not pretending these were common. But the claim was these never happened. While a repeat of this scale of emission would probably be noticed in the record, to meet your target of needing to do it in 10,000 years, it could be as small as a twentieth the size. By the way, notably, as far as I know from the literature, the only documented case of emissions of Carbon at any rate approaching the end-Permian event is our very own emissions, even if ours doesn’t quite match that scale, nor its height. It’s pretty funny, too, that coal was involved. Of course, having end-Permian extinction envy might well characterize the present United States administration, so give them time. I think the circumstances under which these align to achieve the effect which their combination seeks to explain are so statistically improbable as to be implausible, by maximum likelihood, even if MLE theory has its limits. Each trajectory not only needs to achieve its independent pulse, uncommon compared to its own history, but align with the others in phase. I’m slightly confused by what you’re trying to say. However, you seem to be simply presenting without in any way indicating if they are plausible. There are many things that might be possible but that we regard as unlikely given the evidence available. That’s, in a sense, the point of doing research; it’s to give us some indication of which possibilities are consistent with the evidence, and which are not. There may be some that the evidence does not completely rule out, but we’d normally give these less credence that those that are consistent with the evidence. Continuing to promote possibilities that are largely unsupported by the evidence is somewhat sub-optimal. > you seem to be simply presenting without in any way indicating if they are plausible. I need to add Bill Gray’s thermocline. On a point of order, we have been here before. Angech and I have discussed his muddling of the causes of the PETM right here in these hallowed halls. BBD: Re your point of order, it’s “De ju vu all over again!” (Yogi Berra) . Probably trying too hard to have my cake and eat it too. In this, and some other recent comments, you seem to be showing some self-awareness – some insight into the fact that you are engaging in motivated reasoning. That is, you know what answer you want, and you are seeing if it is possible to keep faith in your desired answer by invoking unlikely coincidences and unlikely gaps in climate theory that all happen to line up to explain warming without invoking a cause that is already present, and adequate. This insight could give you a chance to reassess your position. Why not take another look at the evidence without the a priori commitment to any particular answer? Volcanism doesn’t heat up the atmosphere directly. Um, Sunday morning syndrome. Sorry. Yes, volcanism does heat the atmosphere (and ocean when undersea) directly. Any number of events. Such as? See Hypergeometric above. There were 5 other smaller hyper thermals in other era’s. One cannot blame the Milankovitch cycles or they would happen regularly every 100,000 or so years.The outpouring of such large amounts of CO2 so quickly had to involve release mechanisms which should have been hot. and when you have exhausted all alternative theories, remember that it could be unicorns. Volcanism doesn’t heat up the climate system. GHGs do that. The volcanism at the end-Permian triggered a massive, CO2-forced greenhouse warming which resulted in the biggest mass extinction event of the lot. With the PETM, there seems likely to have been a volcanically-forced greenhouse warming which then triggered a very strong carbon cycle feedback, possibly from clathrate destabilsation. I thought we’d got this sorted out the last time around. One cannot blame the Milankovitch cycles or they would happen regularly every 100,000 or so years.The outpouring of such large amounts of CO2 so quickly had to involve release mechanisms which should have been hot. At the boundary between the Palaeocene and Eocene epochs, about 55 million years ago, the Earth experienced a strong global warming event, the Palaeocene–Eocene thermal maximum1, 2, 3, 4. The leading hypothesis to explain the extreme greenhouse conditions prevalent during this period is the dissociation of 1,400 to 2,800 gigatonnes of methane from ocean clathrates5, 6, resulting in a large negative carbon isotope excursion and severe carbonate dissolution in marine sediments. Possible triggering mechanisms for this event include crossing a threshold temperature as the Earth warmed gradually7, comet impact8, explosive volcanism9, 10 or ocean current reorganization and erosion at continental slopes11, whereas orbital forcing has been excluded12. Here we report a distinct carbonate-poor red clay layer in deep-sea cores from Walvis ridge13, which we term the Elmo horizon. Using orbital tuning, we estimate deposition of the Elmo horizon at about 2 million years after the Palaeocene–Eocene thermal maximum. The Elmo horizon has similar geochemical and biotic characteristics as the Palaeocene–Eocene thermal maximum, but of smaller magnitude. It is coincident with carbon isotope depletion events in other ocean basins, suggesting that it represents a second global thermal maximum. We show that both events correspond to maxima in the ~405-kyr and ~100-kyr eccentricity cycles that post-date prolonged minima in the 2.25-Myr eccentricity cycle, implying that they are indeed astronomically paced. Between about 55.5 and 52 million years ago, Earth experienced a series of sudden and extreme global warming events (hyperthermals) superimposed on a long-term warming trend1. The first and largest of these events, the Palaeocene–Eocene Thermal Maximum (PETM), is characterized by a massive input of carbon, ocean acidification2 and an increase in global temperature of about 5 °C within a few thousand years3. Although various explanations for the PETM have been proposed4, 5, 6, a satisfactory model that accounts for the source, magnitude and timing of carbon release at the PETM and successive hyperthermals remains elusive. Here we use a new astronomically calibrated cyclostratigraphic record from central Italy7 to show that the Early Eocene hyperthermals occurred during orbits with a combination of high eccentricity and high obliquity. Corresponding climate–ecosystem–soil simulations accounting for rising concentrations of background greenhouse gases8 and orbital forcing show that the magnitude and timing of the PETM and subsequent hyperthermals can be explained by the orbitally triggered decomposition of soil organic carbon in circum-Arctic and Antarctic terrestrial permafrost. This massive carbon reservoir had the potential to repeatedly release thousands of petagrams (1015 grams) of carbon to the atmosphere–ocean system, once a long-term warming threshold had been reached just before the PETM. Replenishment of permafrost soil carbon stocks following peak warming probably contributed to the rapid recovery from each event9, while providing a sensitive carbon reservoir for the next hyperthermal10. As background temperatures continued to rise following the PETM, the areal extent of permafrost steadily declined, resulting in an incrementally smaller available carbon pool and smaller hyperthermals at each successive orbital forcing maximum. A mechanism linking Earth’s orbital properties with release of soil carbon from permafrost provides a unifying model accounting for the salient features of the hyperthermals. I was just reading about the placebo effect. I doubt there is much likelihood of a placebo effect on the climate, but I have little doubt there is a placebo effect on views about the climate. Please don’t denigrate unicorns. I recently encountered a climate science denier who believes that the oceans are warming due to the release of heat by underwater volcanoes. Alas, SkS has not yet promulgated a rebuttal on this assertion. Does one exist elsewhere? BTW, the SkS author team is in the process of updating its extensive set of rebuttal articles. If any of the regular contributors on this website are interested in helping out, please contact John Cook directly via the SkS website contact feature. and lots of subsequent work on distribution of ocean heat. e.g. B. D. Santer “Human and natural influences on the changing thermal structure of the atmosphere” (2013) Proc. Nat. Acad. Sci. USA 110, 17235-17240.
and lots of similar analysis of the Earth’s atmospheric temperature profile. We know how much energy it takes to warm the oceans by the amount observed. We know how much energy is released in volcanoes. It would take about 7 Krakatoa’s a DAY to warm the oceans, every day for the last century. We might have noticed. None the less the oceans are warmer than they would be with no volcanic activity. Then report back your findings. I don’t know for sure if the oceans are warmer as a result of volcanic activity and the question really needs to address proximate and ultimate causes. The fact that the Earth is tectonically active is largely due to the heat from (mostly) radioactive decay – if it wasn’t for this the Earth might well be a cold lifeless lump by now (that could be considered an ultimate cause). As Izen suggests this heat has been sampled extensively and the direct contribution to (surface) warming (proximate cause) is about 3/10000ths of that from solar irradiation. On the other hand volcanic activity at the surface cools the ocean surface – in general this is temporary, but a significant period of greater than average volcanic activity can result in quite extended cooling (e.g. this seems to be a significant contribution to so-called “Little Ice Age” cooling). What do you think the nett result of this might be for ocean temperatures (considering only proximate causes like direct heat from radioactive decay and surface volcanic cooling)? What interpretations do your investigations support? And do you think considerations of these heat/cooling sources have any significance for the very rapid 20th century and contemporary warming of the Earth’s surface? Well, yes, there’s a background level of volcanics contributing heat, and there are pulses, as from LIPs, but deep and upper oceans don’t mix readily, so the upper gets most of its energy from insolation and atmosphere. Not so long ago, angech was claiming that the greenhouse effect was not all that important because it was “only” equivalent to ~3/1000 of the solar insolation. Note the different approach. For the greenhouse gas effect, angech compares it to the total solar insolation in the hope that will make it seem smaller. For volcanic ocean heating, angech doesn’t worry about the magnitude at all, just notes that it possibly adds a point to the anything-but-carbon scoreboard (as long as we don’t consider surface volcanoes, etc). angech, do you see a contradiction? JCH: Pleasee provide a link for the Areil E Hansen graphic. Thanks. Izen: Please provide the source/link for the 0.03% figure. Thanks. JCH’s image is from Hansen et al. (1988) with (I think) GISTEMP superimposed. Oh my, I misspelled Ariel and will have to pay the Neptune Society a fine. It came from deep inside Davy Stoke’s data locker,com. And yes, Izen has some ‘splainin’2’dew. unicorns… little mermaids… anything except mankind. JCH: The link that you embedded in It came from deep inside Davy Stoke’s data locker,com.takes me to Hansen’s 1988 Predictions Revisted posted by Moyhu on Oct 17, 2015. Was that intentional? I think JCH was attempting humour, John. In another forum, my fellow SkS author, Daniel Bailey, has provided the detailed information that I’ve been searching for. Thank you all for your responses to my querries..
@-Izen: Please provide the source/link for the 0.03% figure. Thanks. Although I was aware of the several orders of magnitude difference in the energy involved from having met the other volcano/geothermal heat claim – that it is melting the Greenland/Antarctic ice-caps. Actually the ice cools the ground, rock thermal conductivity is too low to replace the heat lost in the first few metres. Just how difficult in practice it is to get heat out of the Crust and the impossibility of warming the oceans at any significant rate is shown by the problems with geothermal energy extraction. The most effective way to extract heat is with a liquid medium pumped through fractured rock. But the more energy you extract, the quicker the volume of rock cools. And it takes a long time for energy to diffuse back into that volume given the very low thermal conductivity of Earth crust. Trying to invent alternative causes of the observed warming (ice melt, sea level rise), along with postulating undiscovered negative feedback is just a defence of Uniformitarianism. Uniformitarianism is indeed the official doctrine of the folk residing in Deniersville — a place where pseudo-scinece myths are hatched and can seemingly live forever. I do not argue here the heating up of the oceans as being driven by vulcanism, that was some skeptic John Hartz mentioned, I was merely pointing out that the earth does contribute some energy to the ocean. The oceans are warmer than they would be with no volcanic activity. “(as long as we don’t consider surface volcanoes, etc).” Happy to consider them as well. I presume they inject a lot of heat into the air before the dust cools things down. Hot first, cold second. Nice to see someone else appreciate the albedo effect and how strong it might be. Even clouds might have a strong effect in that case. The earth is generating it’s own heat.The liquid medium flowing through the fractured rock heats it up, not cools it down, one imagines it would take a long time for the hotter rock to cool down given the low thermal conductivity. But that is only an observation. ” deep and upper oceans don’t mix readily”. Agreed. Heat must have a hard time getting out of the deeper ocean, or into it. I just found that the Faint Young Sun paradox has been addressed, as explained in a lecture by Prof David Archer. I presume they inject a lot of heat into the air before the dust cools things down. As I keep trying to explain, the direct heating is minuscule compared with a TOA radiative imbalance. It takes GHGs to force a hyperthermal. Incoming solar energy: 173,000 TW. If volcanic heating was non-negligable, you’d expect to see convection cells with upwelling over the mid-ocean ridges, where the majority of volcanic heat enters the oceans. You don’t. “It takes GHGs to force a hyperthermal”. Chicken and egg problems. All these “natural” GHG rises are nothing to do with Milankovitch now? “you’d expect to see convection cells with upwelling over the mid-ocean ridges, where the majority of volcanic heat enters the oceans. ” I did see a comment ” deep and upper oceans don’t mix readily”. Mid ocean ridges are very deep and I hope you would expect convection cells with upwelling over active underwater volcanoes even if they do not reach the surface. Water has a high heat capacitance. You seem to be arguing that the earth and volcanoes have no natural heat effect. Why? The amount of heat produced is relatively small but not insubstantial. I quoted direct numbers for the volcanic vs. solar heat fluxes. Then you come back with a direct lie that I said there was ‘no natural heat effect’. Please correct that. There were 5 other smaller hyper thermals in other era’s. One cannot blame the Milankovitch cycles or they would happen regularly every 100,000 or so years. The evidence suggests that ‘nothing’ might be a bit too strong. But the trigger isn’t important. It’s the event itself that matters, as it demonstrates vividly just how powerful an effect CO2 has on climate. It’s just another completely pointless rendition of the “all things being equal, but they’re not exactly equal” Whac-A-Mole game. I can’t see that the skeptics are really right about anything. It’s just gimmicks like volcanoes forever. Even so, I would like to thank angech for reminding us that events like the PETM indicate that there is no negative feedback that kicks in at high temperatures *and* that there may be a major carbon cycle feedback lurking out there somewhere. Angech… You are flailing about looking for a god in the gaps, any god, even a filthy pagan one, when the gaps are so tight that you couldn’t squeeze a razor’s edge into them. You are not accused of making the initial claim that vulcanism is a major cause of ocean warming, but of repeating the empty truism (oceanic volcanic activity produces some short-term heat) as though it contributed to the discussion. You have repeated the claim again, in the quoted section, even though no one is disputing it. The question is, why? As with many of your posts, your real point is vague and implied, rather than explicit. Is your point: “The oceans are warmer than they would be with no volcanic activity…. so the skeptic was making a worthwhile argument”? Is it: “The oceans are warmer than they would be with no volcanic activity… so there are other heating factors at work in the ocean and AGW is just one factor among many”? Is your point something else? Is this simply sealioning? Regardless of what you want to imply, the fact that ocean vulcanism is quantitatively trivial should make you realise that the original skeptical claim was nonsense. It is contradictory that the quantitative aspects of the oceanic volcanic heat do not seem to concern you when you recently dismissed the importance of AGW by comparing it quantitatively to the entire solar input of the planet’s energy budget. If you truly believed that something much smaller than something else was necessarily trivial (an idea you embraced a few days ago), you would think that it was not worth noting that “The oceans are warmer than they would be with no volcanic activity.” (And in this case you would be right). But because this tiny quantity of heat is on the ABC side of the ledger, you seem happy to kick the denialist meme further along the road. Without a bunch of anthropogenic CO2 in the atmosphere, Capt Kirk and science officer Spock would find that anomalous volcanic ocean warming somewhere in a faraway galaxy. well there might be more unicorns on the ABC side of the ledger, you never know.!!! If there are unicorns, what are the odds a missile launched from standing still on the ground could consistently hit a jet traveling in excess of 2000 mph at around 50,000 feet? Yet the same gimmicks always entice a whack-a-contrarian. As if the whole point was to make sure a whack-a-contrarian resurfaces. Willard: Have you come across any research about how many minds are changed by reading a comment thread of an article? I do not recall seeing anything on this topic. Yet if the earth is putting out an extra [Geothermal heat]: 47 TW should there not be a radiative imbalance the other way? This has always been there and has been slowly decreasing with time. Of course it is an energy input and so leads to a slightly higher (0.03%) surface temperature than if it wasn’t there, but it hasn’t changed much in the last few hundred years. We could include it in any calculation we do, but it wouldn’t really make much difference. I would feel this should make any balancing, as in ECS, much more rapid than what people are actually saying it is. No, this factor has always been there. Yes, you did. There is a 47TW flux and this is negligible, that is not the same as ‘nothing’. This should be a pretty easy concept to grasp. Yeah maybe. Lots of little ABC factors. Individually tiny, mostly undiscovered, missed by the people that actually study this stuff… All conspiring to mimic AGW. Got it. Little strokes fell great oaks… so obviously it can’t be the guys with the chainsaws. Yes, there is an ABC side. There are a lot of non negligible issues which though small may add up to concerns. So the El Gordo of mass extinction events seems to have the same chain of causation as the PETM.